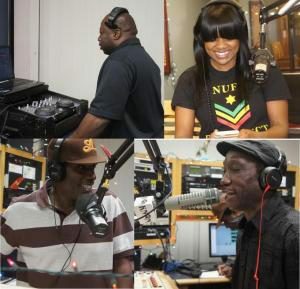 DJ Steady Rankin and the Reggae Zone crew – Empress Alicia, DJ Dollar Bill and along with “Wha a Gwaan in Jamaica” with Komputer. Our slogan ” We are the Solution to your Worldwide reggae needs on a Wednesday night” from 10 pm to 12 midnight CST. Steady’s undeniable skill in organizing is apparent in everything that he does. He along with his trusted side kick DJ Dollar Bill keeps the Dance Hall thing locked down. He Mixes and Mingles dancehall, crossing over to the combination style that is popular in the Dance halls today.